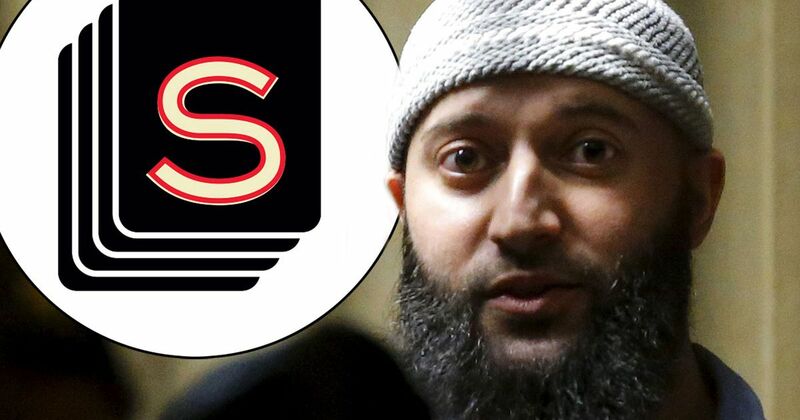 Yesterday, we received the news that Adnan Syed of “Serial” fame/infamy was ordered a new trial by the Baltimore City Circuit Court. The grant vacates his 2000 conviction for the murder, kidnapping, robbery and false imprisonment of Hae Min Lee. At the heart of the grant is the circuit court’s conclusion that his trial counsel, Christina Guitierrez, failed Adnan on one particular point so badly that justice requires the court to order a new trial. The court rejected two other claims. This story gripped the nation and brought forth the questions, “What does it mean to be guilty beyond a reasonable doubt?” and “What would I have done had I been a juror for State of Maryland v. Adnan Syed?” The court’s order brings us one step closer to closure in this riveting case. Here are my thoughts/explanations of what happened yesterday. Trial counsel’s failure to cross-examine the State’s expert witness on cell phone tower location evidence deprived Adnan of his Sixth Amendment right to effective counsel. Let’s start with the ground the court believed entitles Adnan to a new trial: Guitierrez’s failure to cross examine the State’s expert witness on cell phone tower location evidence with the data’s disclaimer that would completely gut the expert’s testimony deprived Adnan of his constitutional right to effective representation. When a defendant believes his attorney represented him so badly at trial that he should be given a new one, the defendant faces a steep uphill battle. Under the Sixth Amendment to the US Constitution, criminal defendants are entitled to counsel. Courts have interpreted the Sixth Amendment as guaranteeing effective representation. However, courts presume attorneys are competent and render effective representation. Constitutionally adequate counsel doesn’t mean everyone receives an OJ Simpson-level defense team. It means the Sixth Amendment guarantees someone that will fight for you and put the government’s case to the test. It’s on the defendant to prove otherwise. Under a United States Supreme Court case called Strickland v. Washington, a defendant must show two things in order to get a new trial: (1) error on counsel’s part; and (2) prejudice stemming from that error. To show “error” under the first prong of Strickland, you have to show your attorney didn’t do something that a reasonable prudent attorney would have done (or did do something a reasonably prudent attorney wouldn’t have done). Courts look to “prevailing professional norms” for assistance on this question. For example, a reasonably prudent criminal defense attorney would file a motion to suppress evidence in a drug case where a police officer made an unquestionably illegal search or obtained a forced statement/confession from the defendant. However, decisions that are “strategical” in nature and are extremely difficult to show are erroneous under Strickland -- which witnesses to call, how to question witnesses, etc. To show “prejudice” under the second prong of Strickland, you must show the error calls into question the validity of the proceedings. The error doesn’t have to show you’re 100% innocent or most certainly wouldn’t have been convicted at trial, but it does have to raise a very serious question about the fundamental fairness of your proceeding. Courts are mindful that every attorney error prejudices a defendant to some degree. So it’s not enough to point out how something hurt you. A defendant has to show that an error casts a serious doubt on the whole trial/proceeding. Meeting these two burdens is a high standard. Here, Adnan argued that Guiterrez should have cross examined the State’s cell phone tower expert about a disclaimer that was on the coversheet of the discovery packet regarding the cell phone data. Essentially, the disclaimer said that tower location data cannot be used to pinpoint incoming calls. At trial, the State corroborated Jay’s accusation against Adnan by presenting this data. According to Jay, the two traveled to Leakin Park to bury Hae around 7:00 on the night Hae disappeared. The cell phone tower data presented by the State purportedly showed Adnan’s phone receiving two calls around 7:00. Further, the data supposedly demonstrated that the two calls connected with a tower that covered Leakin Park and the surrounding area. From this, the State effectively argued that the cell tower connected with Adnan in the park when those two calls were made -- powerful corroboration evidence for Jay’s statements. The court concluded that Guitierrez was constitutionally ineffective under Strickland in failing to examine the State’s expert on the disclaimer. At the post-conviction hearing here, a State’s expert was effectively crushed on this question. Had Guiterrez focused in on the disclaimer that location data cannot be used for incoming calls, she would have destroyed a crucial State witness, which, in turn, would have crushed a State’s theory of corroboration. I am not surprised by this outcome. There’s very little doubt that the jurors found the testimony of, “Yeah, this tower near Leakin Park was connecting with Adnan’s cell phone around the time Hae was probably being buried” was extremely damning. Remember, this case rose and fell with Jay’s testimony. It’s dangerous for any prosecution to hinge on just one witness. Sometimes that’s all you have, but its extremely dangerous for the State to ride or die with only one witness. That’s why this data was so crucial. It’s independent, scientific evidence purportedly showing Adnan’s physical whereabouts in or near Leakin Park on the day Hae was supposedly buried. The court rejected two claims: (1) that Guitierrez was constitutionally ineffective for failing to pursue the Asia McLean alibi, and (2) that the State violated Brady v. Maryland when it failed to disclose evidence regarding the reliability of the cell phone tower data. While the court believed Guitierrez erred in failing to pursue the Asia McLean alibi, it believed that error didn’t prejudice Adnan under the second prong of Strickland. According to the court, while the alibi would have given the jury an explanation as to where Adnan was at the time the State said Hae was being killed, the alibi did nothing to address Jay’s testimony regarding moving and burying Hae’s body. Since the alibi wouldn’t do much, if anything, about that issue, the court couldn’t say that the error calls into question the “fundamental fairness” of the trial. I don’t agree with this, but more on that below. The court likewise rejected Adnan’s Brady v. Maryland claim. Under Brady v. Maryland, the prosecution has a duty to turn over material, exculpatory evidence to the defendant. If it’s later learned that the prosecution, either through the prosecutors or investigators, suppressed material, exculpatory evidence, a defendant may be entitled to a new trial. Here, the court wouldn’t grant relief because there was no evidence of suppression. This makes total sense as Adnan argued Guitierrez should have used this evidence at trial. While I was surprised initially that the McLean alibi wasn’t a ground for relief, I now understand the court’s conclusion after reading the decision. I understand, but don’t necessarily agree. The alibi coupled with the discrediting of the cell phone tower data completely contradict Jay. To me, that’s potentially a game-changer. The State had to convince the jury to believe Jay and the timeline extrapolated from his statement and the physical evidence. While I agree the alibi, in and of itself, doesn’t address the Leakin Park aspect of Jay’s testimony, it is another strong piece of evidence calling into question Jay’s testimony. I didn’t think the Brady claim had legs at all. It bordered on disingenuous. No surprise or disagreement there. New trial granted. What happens now? While I’m not well-versed in Maryland appellate procedure, generally, both parties now have the chance to appeal (or, at least, ask for the chance to appeal) any adverse ruling. The case is actually on remand from the Court of Special Appeals, so it’s going to have to go back anyways. I believe the State’s going to have a hard time getting the ruling overturned. Likewise, I think Adnan’s two defeated arguments wouldn’t stand much of a chance on appeal. While I think the alibi claim should be ground for relief, the appellate court is going to be very deferential on the conclusion reached by the circuit court. So, I see this going back for new proceedings. It’s hard to imagine this case going back to trial after nearly two decades as the trial surely won’t happen until 2017/2018. Both sides are in sticky situations. The State is going to have a much tougher time prosecuting the case this time around. On the other hand, while the case is probably more winnable for Adnan on this go-around, he’s been given a second bite at the apple of freedom. If he’s given a chance to stay out of jail through a plea, shouldn’t he take it and be done with this case? There’s a huge risk of squandering your one realistic chance of leaving the hell-hole that is prison if you go back to trial. I would bet money that the State offers Adnan some sort of plea deal that allows him to get out of prison, but still holds him responsible for Hae’s disappearance and death. Adnan may enter what’s called an “Alford plea,” named for the US Supreme Court case Alford v. North Carolina. In an Alford plea, a defendant maintains his innocence and does not admit to the criminal act, but pleads guilty in his own best interest. This is what happened in the case of the West Memphis Three, if you remember that similar crazy case. To me, this is the best of both worlds: the State gets its conviction and Adnan gets his freedom alongside a continuing public declaration of his innocence. This has been a fascinating case to study and absorb. I, like everyone else in the world except maybe Jay and Adnan, don’t know what happened that night. I have my suspicions about Adnan’s involvement. But I also believe there’s enough doubt out there that I wouldn’t have voted to convict had I been a juror. I think justice prevailed yesterday. Click HERE to read the court's 59-page order.